Wine Selectors, Selector Magazine and Spicer’s Retreats have teamed up to create an exclusive, small-group Hunter Valley weekend this August. The highlight is two expertly crafted dinners with a unique selection of wines that explore the traditional and modern faces of Shiraz and Semillion, the hero varieties the Hunter. These private dinners, held at the iconic Restaurant Botanica, will be hosted by some of the most celebrated winemakers in the valley, for a unique perspective on what makes Australia’s first wine region great. The Friday night Semillon dinner will feature a selection of rare, aged and museum released wines that explore this special variety from a traditional and contemporary perspective, all matched to a superbly crafted menu from Spicer’s Botanica head Chef Matthew Bremerkamp . Flagship wines for the evening will be from the cellars of Tyrrell’s, Brokenwood, Mt Pleasant, Andrew Thomas wines and the evening will be hosted by the winemakers. After a luxurious breakfast, the group will be transported to one of the Hunter’s most revered wineries Lakes Folly to explore the great Chardonnay and Cabernet’s of Australia’s first boutique winery. Next the group will head to Tyrrell’s for a very special tasting in the traditional barrel. This tasting will get you up-close and personal with one of Australia’s oldest wine families and the wines that have made this family name an Australian wine icon. The group will then head for a special lunch at the picturesque Bistro Molines. 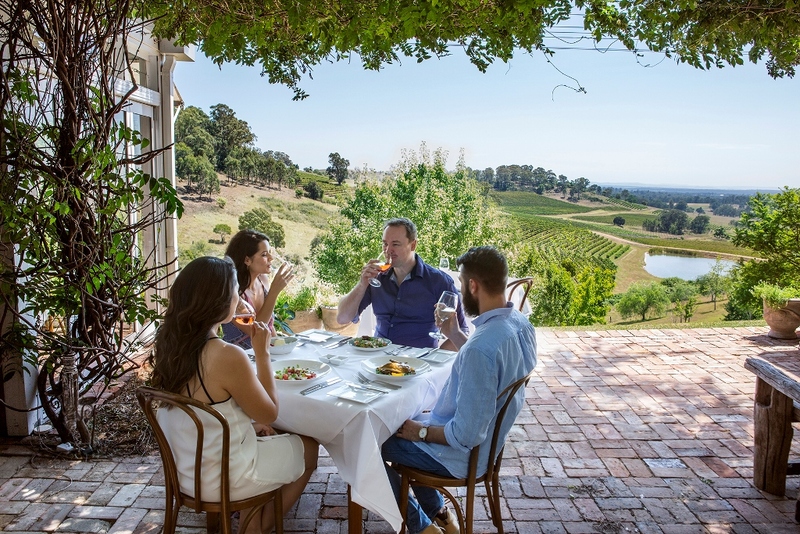 Situated in Mount View Bistro Molines, along with Spicers own Restaurant Botanica, are considered two of the Hunter Valley’s “must-do” dining experiences. From there the group will head to First Creek Wines where the group will get to taste wines from barrel and get to experience winemaking and participate in a blending class. Then on Saturday night the group will explore the Hunter valley’s red wine hero variety at a very special Shiraz dinner. Focussing on the contemporary side of this variety the dinner will feature wines from: Tulloch Wines, Usher Tinkler Wines, De Iuliis Wines, Pepper Tree, Heart and Hunter and Chateau Pato. The dinner will be hosted by a selection of the winemakers and promises to be an unforgettable experience. 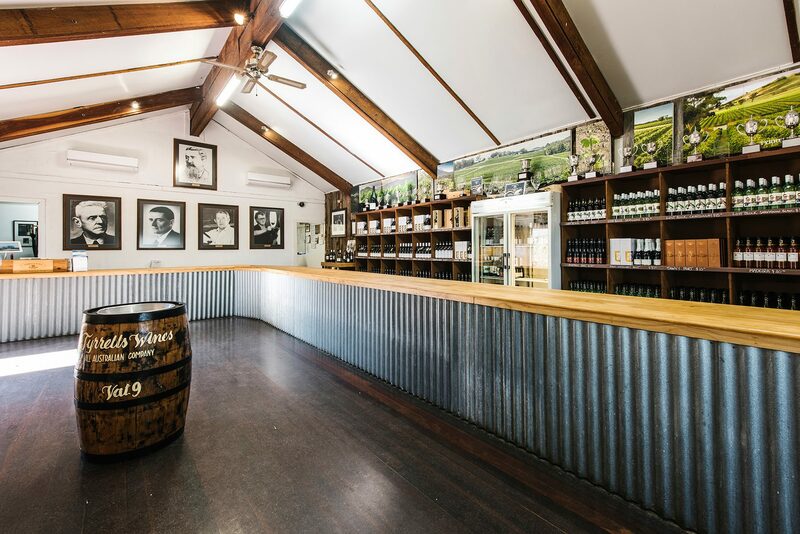 Spicers Vineyard Estate is the ideal escape for food+wine lovers to stay when exploring the culinary and vinous pleasures of the Hunter Valley. Luxuriously appointed and set amongst rolling vineyards and native bushland with views overlooking the vines, the four-acre estate also houses the award-winning Restaurant Bontanica. Exclusively appointed villas and spa facilities ensure Spicers Vineyards Estate is the Hunter Valley’s finest example of seclusion and privacy in a luxury setting. Limited to 10 couples, don’t miss out on this unique experience.